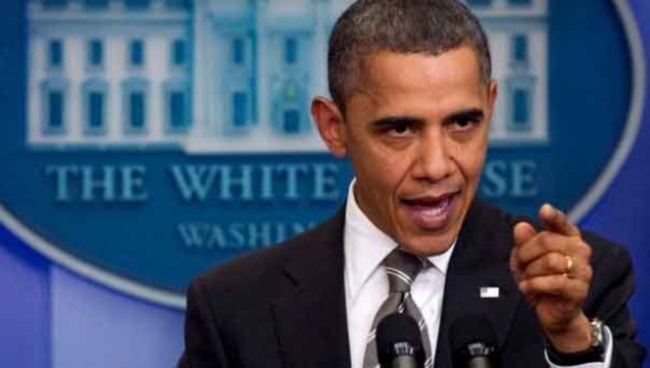 Obama: The War God in Disguise? The state controlled media sources in the US are desperately trying to present President Obama as a peacemaker that is “worthy of his Nobel Prize.” However, this “dignified symbol” in his actions doesn’t remind a hero of peace, instead he seems to be hiding a mask of the Greek god of war in his pocket – Mars. The dubious achievements of the sitting American President in the field of undermining and invading sovereign states are well known and documented It’s enough to just mention that Barack Obama has been at war longer than any president in United States history and he will be remembered as the only president who ever served two full terms in office while constantly being at war. Obama received back in the 2009 Nobel Peace Prize and in the coming years in the White House he must have been trying to fulfill the promises he given to the US as an anti-war candidate. Yet he would have a longer tour of duty as a wartime president than Roosevelt, Johnson, Nixon or his hero Abraham Lincoln. The piece drafted in the Cato Institute would note that President Obama has taken military action in a total of seven countries — Iraq, Afghanistan, Syria, Libya, Pakistan, Somalia and Yemen — without the authorization of Congress. If one is to include covert military actions taken by special operations forces, the list is longer and the impact much broader. During the fiscal year that ended on Sept. 30, 2014, US Special Operations forces (SOF) deployed to 133 countries – roughly 70 percent of the nations on the planet with missions ranging from kill or capture night raids to training exercises. As noted by various American observers, the ease with which Obama starts new conflicts pose the same dangers to world peace that the wars in Vietnam and Iraq once did. It’s clear that Obama declared the “end” of the Iraq war in 2011 only to start sending troops back. In Afghanistan, he didn ‘t even go through that formality. The Pentagon has officially refused to disclose the exact number of American troops deployed in those states. We do know that there are at least tenfold more troops in Iraq now than there were in the latter half of 2014, when Obama went on television and said that the US would be conducting “limited” airstrikes there. Since then, more than 25,000 bombs have been dropped in Iraq, Syria, Libya and elsewhere. 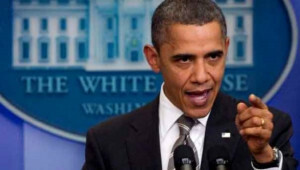 Obama’s policies resulted in the deaths of American soldiers, despicable massacres of innocent civilians, the massive exodus of refugees from the Middle East that keeps descending into violent chaos.It is not surprising that the Cato Institute states that after eight years of continuous warfare, the Nobel Committee should take another unprecedented action: it should revoke Obama’s peace prize and demand repayment of the prize money. Nothing has changed when it comes to the Pentagon slush fund. Instead of a breakthrough on creating Obama’s nuclear-free world, we see the continued development of new weapons of mass destruction, including nearly $ 20 billion on nuclear weapons this year alone as part of a $ 1 trillion Pentagon plan for weapons upgrading generally. Obama’s predecessors insisted that they did not need approval from Congress to launch a war ; yet in the two major wars he fought, George Bush secured congressional authorization anyway. By the time Obama was receiving his Nobel Peace Prize in 2009, he had already launched more drone strikes than his predecessor over two full terms. Since then the sitting US President launched two undeclared wars and bombed no fewer than seven countries. According War Powers Resolution dopted by the US Congress in 1973, the head of state is entitled to use armed forces abroad without the approval of Congress for a total of 60 days. Therefore, in order to launch long-term military operations, the White House is bound to seek the consent of the Congress. According to the recent Congressional Research Service report, the White House deployed military troops in foreign states 37 times over the last fifteen years. George W. Bush set a record of 18 cases that was soon beaten by the Nobel Peace Prize that embarked on 19 military adventures without consulting the Congress. The report unwittingly raises the question about the legitimacy of those actions. The authors explain that the head of states is entitled to fight al-Qaeda and the Taliban outside of Afghanistan only when there are specific threats to the United States. Yet, he doesn’t have the power to launch large scale military operations at his will, which indicates that the Obama administration has gone far beyond the powers that the US Constitution provides it with, in particular in Libya and Syria. Recently Obama was sue by the head of the US military intelligence in Kuwait, that demanded to provide him with an explanation what he’s supposed to do – protect his country according to the oath he gave, or help Obama to break the US constitution. The plaintiff has already obtained the assistance of high-profile lawyers, so if the case lands in the Supreme Court, all hell will break lose even before Obama leaves the White House. It’s been noted that President Obama finds himself getting sucked in not just to the equally convoluted Syrian Civil War, but several other conflicts, intervening and then intervening further to stem the consequences of his interventions. It is a strange ending for a president who promised to end wars and assured the public no fewer than 10 times that he would not deploy troops to Syria. Can the next president do any better?